Since its launch in 2016, Essilor Vision Foundation Australia has focused on bringing good vision to school children and underserved communities. To date, with the help of local optometrists and many partner organizations, the Foundation has screened over 17,000 people and equipped those in need with a free pair of spectacles. Among the 17,000 are hundreds of migrants lacking basic health care. 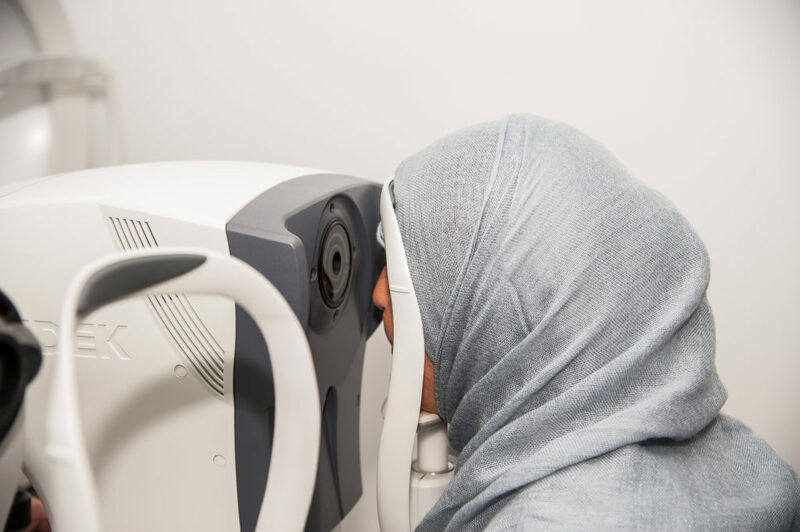 The screenings showed 90% of them were suffering from uncorrected poor vision, many had such bad eye sight, Jo Thomas, a South Australian optometrist, was left wondering how they had coped for so many years. We spoke to Jo, who regularly treats patients at a Migrant Health center, about her experience giving the gift of good vision. From your experience, do you know if the migrants had previously access to vision correction? Most have come from camps in countries like Turkey and Lebanon. In any event their backgrounds are generally subsistence agriculture where access to services is limited, if at all. Their appointment with me at Migrant Health is their first experience with optometry and vision care and some of the prescriptions needed are very strong. One wonders how they could have gotten along for so many years with such poor vision. Kids love it when for the very first time in their lives, they can actually see clearly – the expression on their faces leaves a lasting memory. Are most of them coming with their families, parents and their children? I rarely see someone coming alone; patients are usually accompanied by parents and/or siblings. Many of them arrive through assisted migration so they’ve come here to rejoin their families. I also see young children in the age of 5 to 7, whereas initially I thought I’d only see older children as well as adults. Kids love it when for the very first time in their lives, they can actually see clearly – the expression on their faces leaves a lasting memory. How do you think this can facilitate their daily lives? One thing they have in common is their passion to learn English because without English integration is impossible. With older patients, in particular, I prefer to dispense bi-focals so they can attend English lessons whilst also manage their daily lives with good far distance vision too. But the task of explaining why reading glasses alone are not the answer can be a challenge. I am privileged to be able to provide them with the gift of good vision together with Essilor Vision Foundation. I thoroughly enjoy giving back to my community. Is there anything particular you experienced with your patients at Migrant Health that you would like to share? Some of their life experiences are too difficult to comprehend, and indeed are indescribable. They think they arrived in heaven when they set foot in Australia and they receive medical support to make sure they are in the best health. And that includes ocular health. I am privileged to be able to provide them with the gift of good vision together with Essilor Vision Foundation. I thoroughly enjoy giving back to my community.